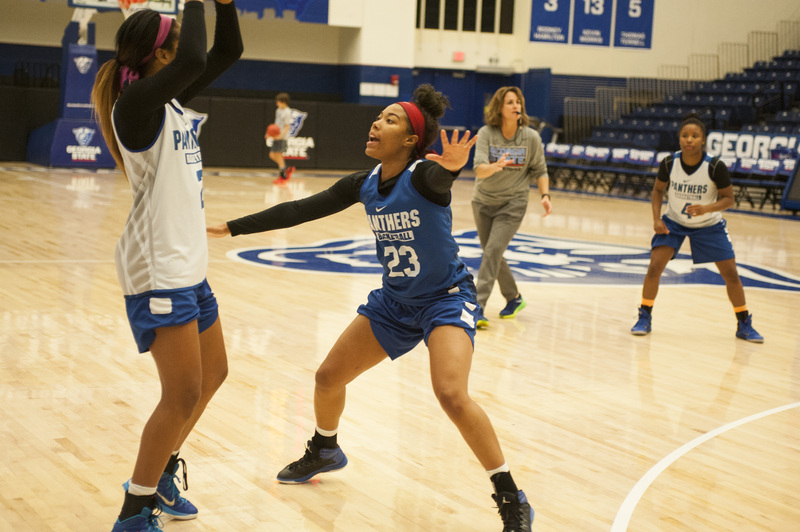 While the majority of Georgia State students were at home relaxing over holiday break the women’s basketball team were hard at work on the basketball court. They weren’t able to find much success, going (1-5) in their six games over the holiday break. Their lone win came against arch rival, Georgia Southern, in Statesboro. Senior forward Tiffany Holston has been a godsend for the Panthers. She lead the effort with a double-double, 15 points and 17 rebounds. The Panthers lost all five games by an average margin of 22 points, and in those games their opponents averaged 81.2 points per game. Also, during the break the Panthers started the most important part of their season, Sun Belt conference play. So for they are 1-2 with a win over Georgia Southern, and two losses to Troy and South Alabama. While they do have a losing record so far this season, they have time to write their wrong and turn the season around. Every team makes the conference tournament, so all they have to do is get hot and find their stride at the right time. Freshman Jada Lewis continues to impress on the court this season. She scored 21 points twice, both in losing efforts to Troy and Elon. She is averaging 9.4 points per game this season, which is second behind Holston. Guard K.K Williams set career highs in points and rebounds 13 and 8 respectively against Elon.